For two years I have been researching and developing a verbatim piece. A collection of stories from the homeless community, their observation, lives and what they have experienced on the streets in London. See link of first R & D here. In March 2012 we conducted a four day R & D to play with the material I had gathered, and in September 2012 a 20 minute scratch was performed at The Breathing Room Studio in Seven Sisters. 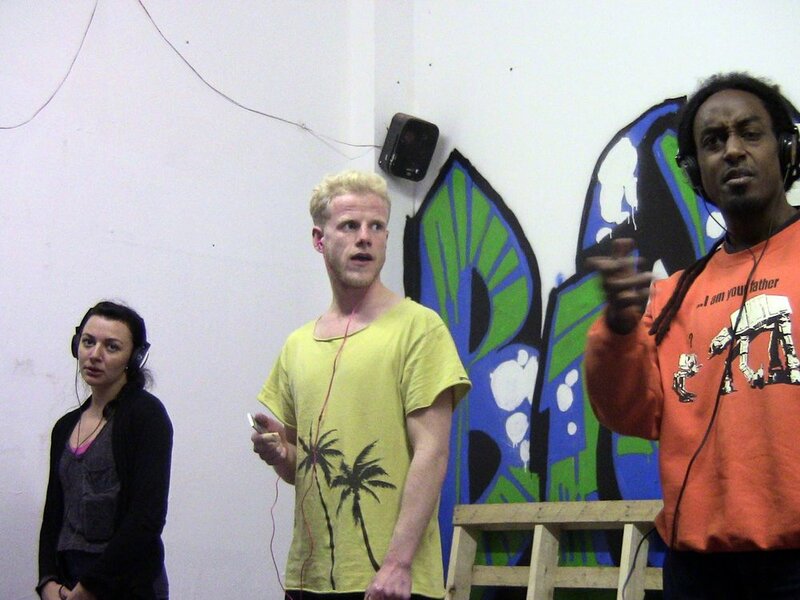 In 2013, another showing of work in development was shown at St Andrews Waterloo in January 2013 as part of the Young Vic's Freshworks Programme.